For all the people that develop for Android, a new version( revision 10d) of the Android Native Development Kit has been released. Made GCC 4.8 the default for all 32-bit ABIs. Deprecated GCC 4.6, and will remove it next release. 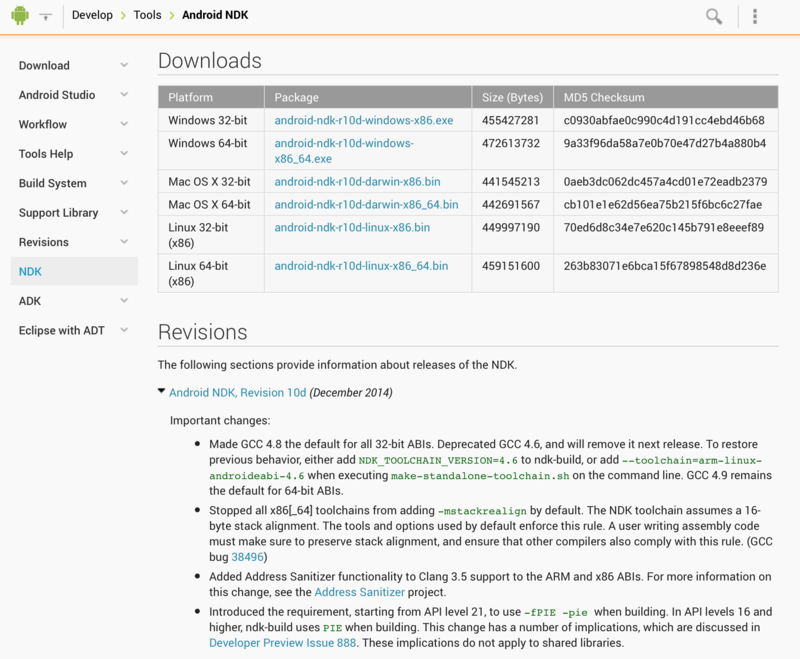 To restore previous behavior, either add NDK_TOOLCHAIN_VERSION=4.6 to ndk-build, or add --toolchain=arm-linux-androideabi-4.6 when executing make-standalone-toolchain.sh on the command line. GCC 4.9 remains the default for 64-bit ABIs. Added Address Sanitizer functionality to Clang 3.5 support to the ARM and x86 ABIs. For more information on this change, see the Address Sanitizer project. Introduced the requirement, starting from API level 21, to use -fPIE -pie when building. In API levels 16 and higher, ndk-build uses PIE when building. This change has a number of implications, which are discussed in Developer Preview Issue 888. These implications do not apply to shared libraries. 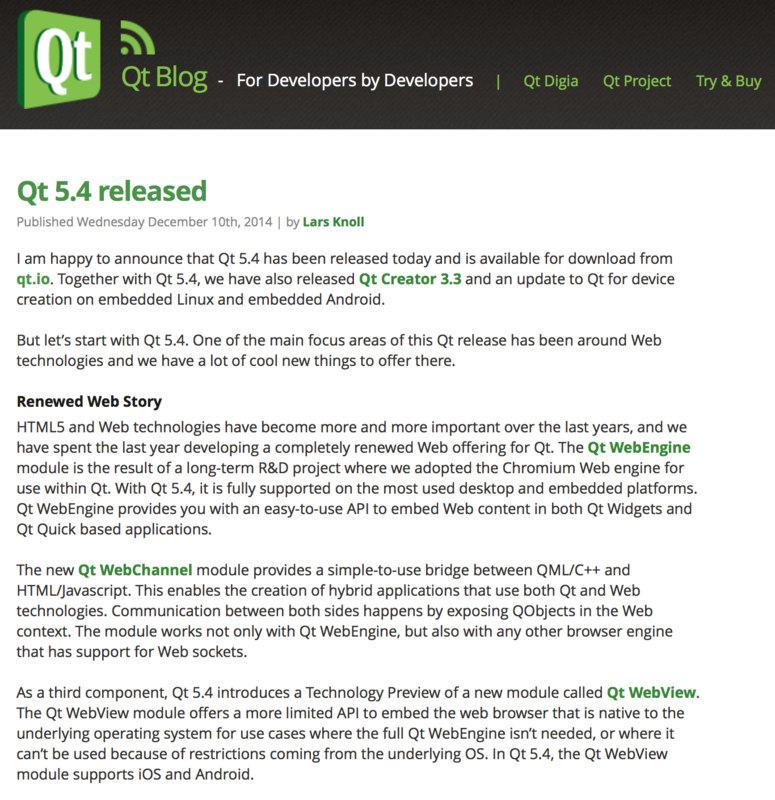 A new major version of the Qt has been released.